Icon 9 Bedroom is a bright and spacious 1260 sq. 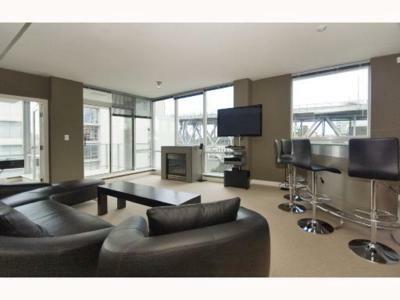 ft. 2 bedroom condo conveniently located overlooking the water in downtown Vancouver. You will find yourself in an environment of peace and tranquility. 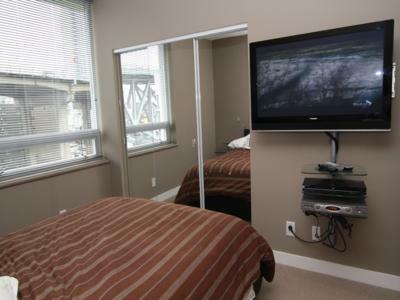 This condo provides everything a vacationer or business traveler might require and will enhance your experiences on your trip to Vancouver. Relax in the comfortable living area and enjoy the flat screen TV while a fire burns in the fireplace. 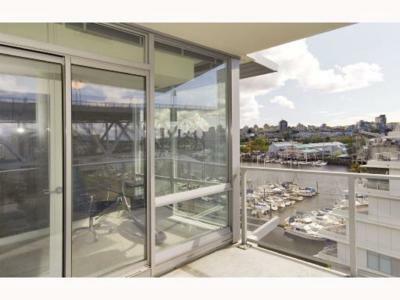 Through the windows you will be treated to a spectacular vista of the surrounding area which includes views of the water and False Creek. 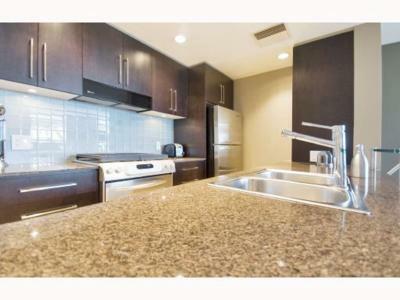 The kitchen is equipped with stainless steel appliances, granite counter-tops with bar style seating. 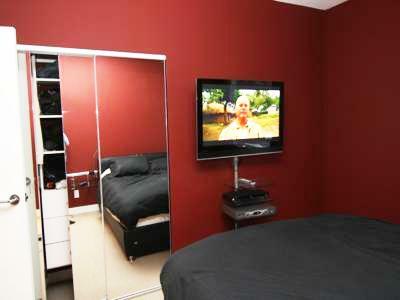 Each of the 2 bedrooms offer a queen size bed and high quality linens for that added comfort. 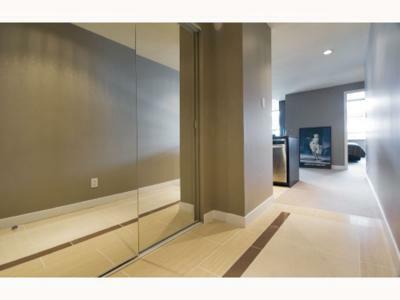 Stay connected with your home or office with high speed wireless internet access throughout the condo. 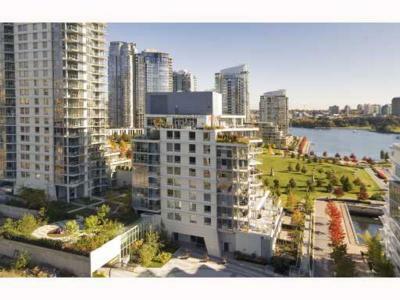 For the active lifestyle, the famous Vancouver Seawall is just few steps away where you can walk, rollerblade or ride a bicycle west to the beautiful sandy beaches of English Bay and world famous Stanley Park. Hop on the small passenger shuttle across False Creek to Granville Island where you can enjoy the fresh food and fish markets, theatres, restaurants, artisan shops and live street entertainment. Boat charters are also available on Granville Island. 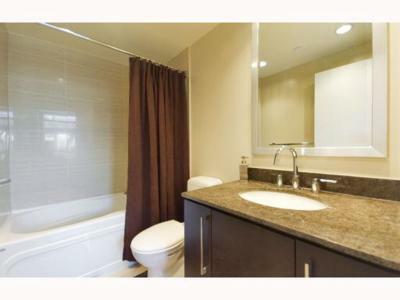 At the end of your day relax and enjoy the sunset over English Bay or avail yourself of the full amenities Icon 9 has to offer such as the pool, workout facility, sauna, steam room, hot tub, and private theatre room.